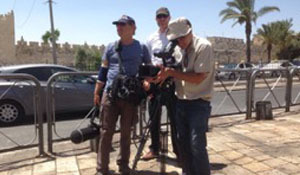 Grace Creek Covers Israel For The Pew Research Center – Grace Creek Media, Inc.
January 1, 2017— Grace Creek’s Vice President of Production John orensen travelled to Tel Aviv and Jerusalem to produce a new documentary film for the Pew Research Center titled Israel’s Religiously Divided Society. The in-depth video project is a companion piece to Pew’s extensive opinion survey that compares attitudes of American and Israeli Jews and also explores differences within Israel’s Jewish population. Sorensen interviewed experts in both the US and Israel, as well as everyday Israelis about how religious divisions among Israeli Jews affect public policy issues ranging from running buses on the Sabbath to the stalemate over the Israeli-Palestinian conflict. 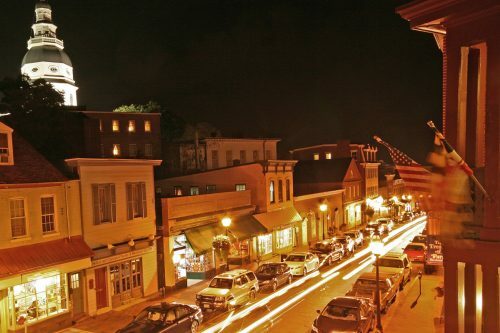 Grace Creek worked closely with Pew’s team of scholars to shape a documentary that reflects Pew’s non-partisan approach to social science research while adding a human context to what is a complex story. In addition to the documentary, Grace Creek produced video excerpts that Pew integrated into an “interactive web essay,” an emerging format that combines text, graphics and video and allows users to navigate their own experience. The complete documentary and the on-line interactive web essay will be distributed by Pew directly to organizations interested in better understanding Israel, and is available for free on YouTube.